Precision foiled, high performance, lightweight fiberglass/ honeycomb fins to fit in FCS plugs. watermark template 1 fiberglass honeycombe, base 4 1/4", depth 4 5/8"
This is for a set of 3 "watermark" high performance lightweight tinted glass and honeycombe tab based fins which come in three different colours (please select your colour when checking out )These will fit FCS plugs as well as euro fins and other similar tab based fin systems. These fins will improve the performance of your board over the plastic moulded ones supplied when the board was new. Bring a new lease of life into your surfing. These quality fins are normally very expensive so grab yourself a bargain now. watermark template 1 carbon fiber, base 4 1/4", depth 4 5/8"
This is for a set of 3 "watermark" high performance lightweight carbon fiber tab based fins which come in three different colours (please select your colour when checking out )These will fit FCS plugs as well as euro fins and other similar tab based fin systems. These fins will improve the performance of your board over the plastic moulded ones supplied when the board was new. Bring a new lease of life into your surfing. These quality fins are normally very expensive so grab yourself a bargain now. watermark template 2 fiberglass honeycombe, base 4 3/8", depth 4 9/16"
This is for a set of 3 "watermark" high performance lightweight tinted glass and honeycombe tab based fins which come in three different colours (please select your colour when checking out )Superb all round performer. 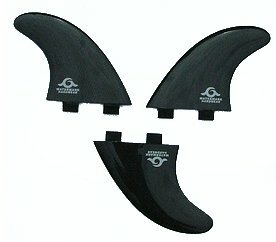 These will fit FCS plugs as well as euro fins and other similar tab based fin systems. These fins will improve the performance of your board over the plastic moulded ones supplied when the board was new. Bring a new lease of life into your surfing. 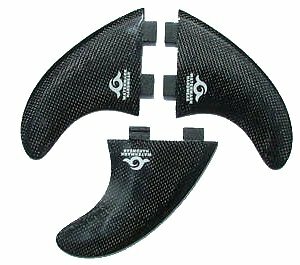 These quality fins are normally very expensive so grab yourself a bargain now. watermark template 2 carbon fiber, base 4 3/8", depth 4 9/16"
This is for a set of 3 "watermark" high performance lightweightcarbon fiber tab based fins which come in three different colours (please select your colour when checking out )These will fit FCS plugs as well as euro fins and other similar tab based fin systems. These fins will improve the performance of your board over the plastic moulded ones supplied when the board was new. Bring a new lease of life into your surfing. 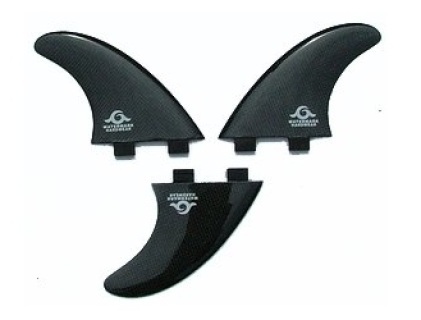 These quality fins are normally very expensive so grab yourself a bargain now. watermark template 3 fiberglass honeycombe, base 4 3/8", depth 4 1/2"
watermark template 3 carbon fiber, base 4 3/8", depth 4 1/2"